Christine DiMattei interviews Rachelle Salnave, director of "La Belle Vie: The Good Life." La Belle Vie: The Good Life - Official Trailer from Rachelle Salnave on Vimeo. To Salnave’s mind, there were two Haitis: the impoverished, desperate one she saw in popular culture and the elusive one she caught a glimpse of in her mother’s meticulously kept photo albums. The photographs – of European trips, elegant cocktail parties, her mother’s years in a French boarding school – speak clearly of the privileged life her parents left behind when they moved to the United States in the 1960s. Tues. April 21 6:30 p.m.
Thu. April 23 6:30 p.m.
Fri. April 24 7 p.m. Sat., April 25 7 p.m. Sat. 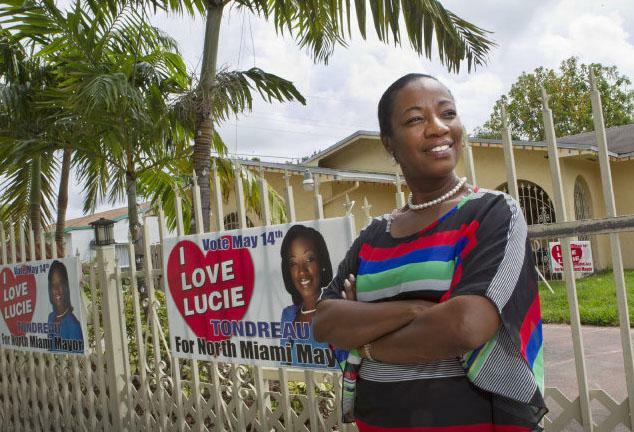 May 2 2 p.m.
For years, Marie Alina Cajuste did not know her real name. The family she worked for in Haiti called her Ti Bebe, or Little Baby. She shared her experience as a restavec at a day-long conference about human trafficking at Broward College Thursday. Nonprofit organization Color of Hope is remembering the victims of the 2010 Haiti earthquake by updating a digital memorial wall with 12 names every hour on Monday, Jan. 12. Five years ago, the disaster ended over 300,000 lives -- and Color of Hope has been maintaining a memorial ever since. The wall can be found at 112haiti.com. Ed Shakespierre, the organization’s founder, sought to represent victims who he says may have remained nameless otherwise.